Astronomers have detected an atmosphere around an Earth-like planet 39 light years away. The discovery is the first detection of an atmosphere around an Earth-like planet other than Earth itself. Scientists say that is a significant step on the path towards finding alien life outside our Solar System. 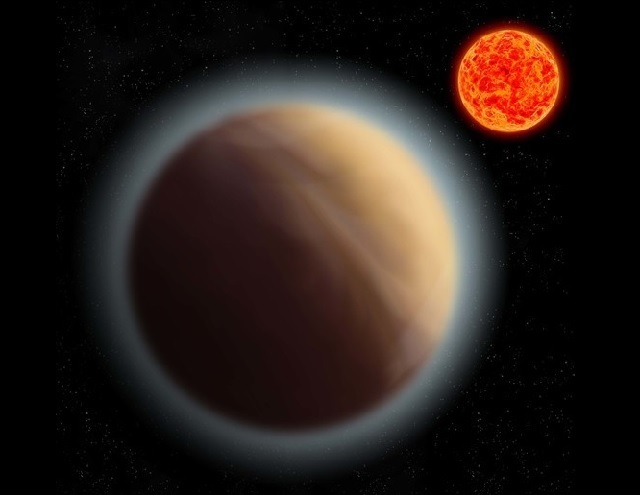 By using a 2.2-meter telescope at the European Southern Observatory in Chile to take images of the exoplanet's host star GJ 1132, astronomers were able to measure the slight decrease in brightness as the planet (named GJ 1132b) and its atmosphere absorbed some of the starlight while passing in front of the host star. “While this is not the detection of life on another planet, it's an important step in the right direction: the detection of an atmosphere around the super-Earth GJ 1132b marks the first time that an atmosphere has been detected around an Earth-like planet other than Earth itself,” said lead researcher Dr. John Southworth of Keele University. Astronomers' current strategy for finding life on another planet is to detect the chemical composition of that planet's atmosphere, on the look-out for chemical imbalances which could be caused by living organisms. In the case of our own Earth, the presence of large amounts of oxygen is a tell-tale sign of life. Until these findings by Dr. Southworth’s team, the only previous observations of exoplanet atmospheres all involved gas giants reminiscent of a high-temperature Jupiter.